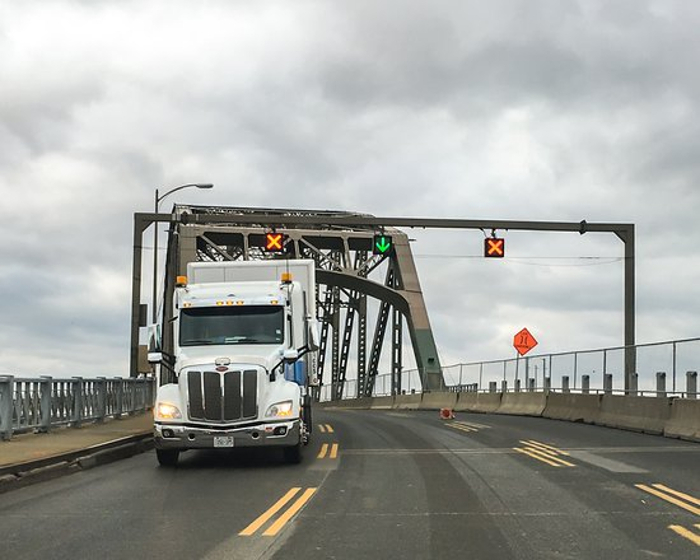 Representatives from the Canadian government and Transport Canada have viewed the new and improved Intelligent Transportation System (ITS) technologies that have been deployed at the Peace Bridge border crossing as part of a three-phase upgrade project. Transport Canada has invested US$272,135 (C$362,482) under the National Trade Corridors Fund, for two projects to improve the USA-Canada border infrastructure to help Canadian businesses compete by moving goods to market more efficiently. Opened in 1927, the Peace Bridge crosses the Niagara River, connecting Buffalo in New York State (USA) with Fort Erie, Ontario (Canada). More than five million vehicles cross the bridge each year, making it the second-busiest border crossing between the two countries. Over the last five years, an average of 3,274 trucks per day (or nearly 1.2 million per year) have used the crossing, carrying millions of dollars’ worth of goods to Canada’s major trading partner. 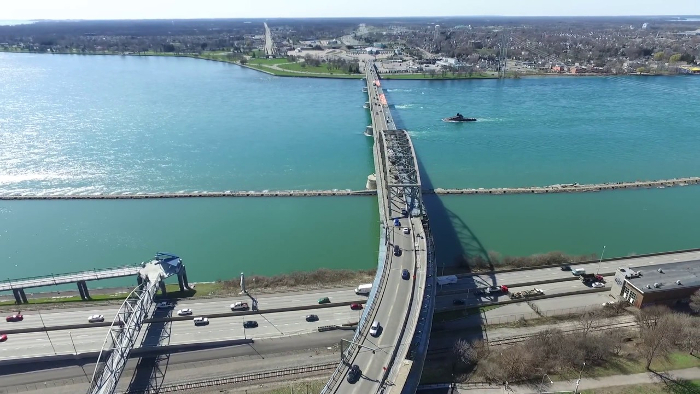 In January, the Buffalo and Fort Erie Public Bridge Authority announced that it had chosen TransCore to develop an integrated electronic toll collection and border analytics system on the Peace Bridge. The company has now deployed new RFID (Radio-Frequency Identification) readers and their corresponding electrical and IT infrastructure at auto primary inspection lanes are reducing vehicle inspection wait times. The RFID readers are installed at the front of the inspection line, allowing travelers to scan their identification documents in advance of reaching the inspection booth for processing. 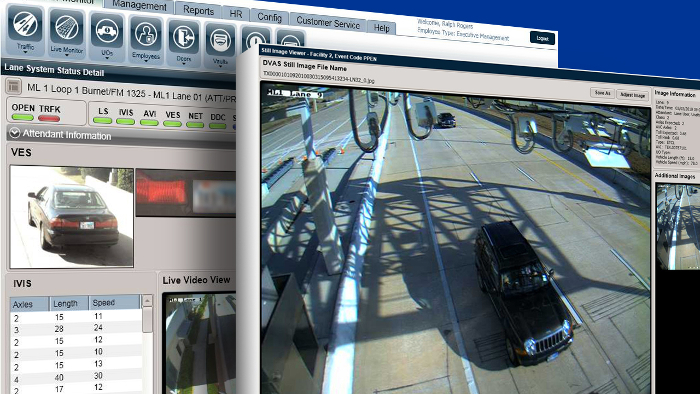 In addition, new cameras and IT infrastructure provide real-time data to travelers, border services officials, and the Buffalo-Fort Erie Public Bridge Authority, which improves the accuracy of border wait-time information and the flow of border traffic. A third IT project is underway by TransCore that will improve the toll system efficiency and is expected to be completed later this year. The company’s long partnership with the Peace Bridge Authority started in 1996 and continues with the implementation of its flagship Infinity Digital Lane System, which will enable the operator to process cash, credit, debit, E-ZPass RFID transponder, and camera-based pay-by-plate transactions. The Infinity platform integrates automatic vehicle identification (AVI), vehicle classification, and video capture and recognition systems specifically designed to automatically and accurately collect transactions in high-volume traffic across a wide variety of vehicle speeds and patterns. Infinity’s fully integrated digital video audit system will also provide the bridge operators with a real-time, user-friendly tool to facilitate true end-to-end revenue traceability and auditability.